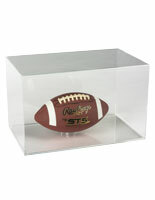 These Acrylic Trophy Cases For Countertop Use Also Keep Your Valuables Protected! 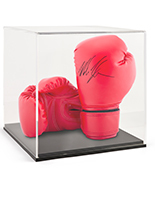 Memorabilia Display Cases Guarantee Your Collectible Items Get Noticed! 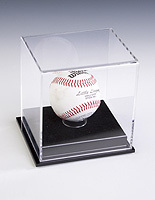 These ball displays, trophy cases provide you with many display possibilities. You can use it to showcase round objects like signed footballs or basketballs by placing the round riser in the middle of the platform base. 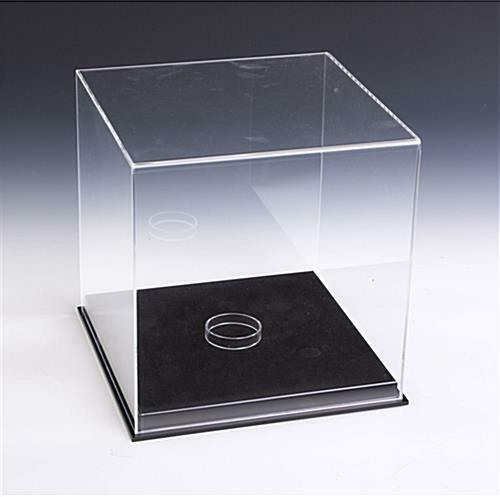 Or if you wish to display figurines that have flat surfaces, simply remove the acrylic ring to display your items. 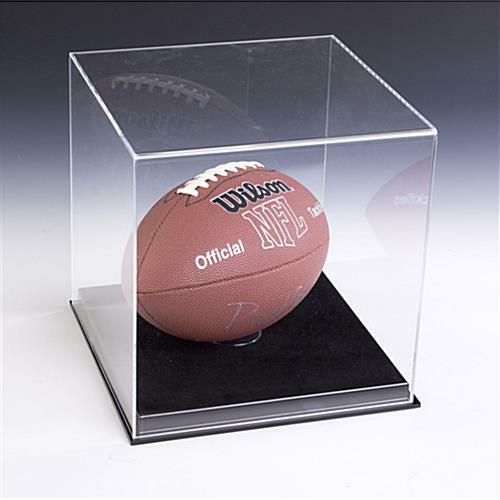 From autographed footballs to helmets and other types of memorabilia, these square acrylic trophy cases will keep your valuables well preserved and protected. The display cabinets also come with four rubber feet on the bottom to prevent scratching of your countertop surfaces. 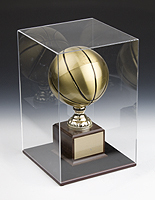 Keep your collection beautifully displayed in these trophy cases. 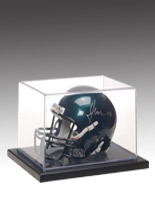 Trophy cases are essential for displaying sports memorabilia or other collectibles. 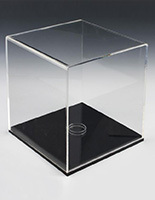 These ball displays, award showcases feature a 1/8" clear acrylic lid and a black acrylic platform base. 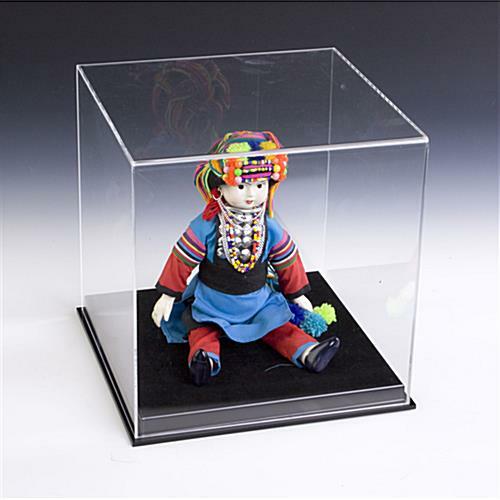 With a crystal clear finish, you can easily use a display cabinet in any setting, as they will coordinate with any decor. 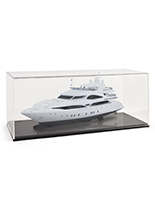 Showcase your valuables or prized collectibles using these trophy cases. 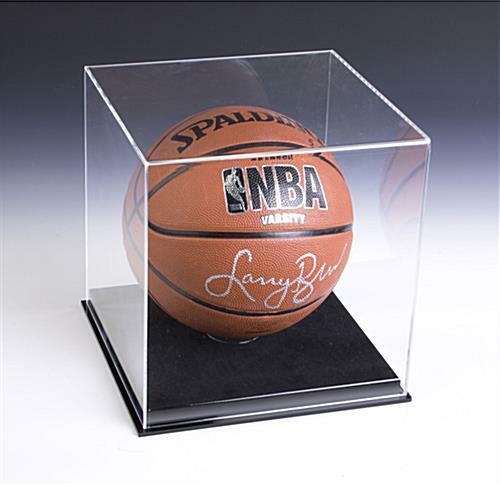 Trophy cases are the best way to display collectibles, as they keep them in pristine condition.